When it comes to the upkeep and maintenance of historical buildings, you could be forgiven for thinking that this doesn’t directly affect you. After all, you're not the one who is directly culpable for ensuring that concrete or stone doesn’t fall from Westminster Abbey, and it certainly doesn’t affect you whether or not Tate Modern is open for business. Historical building restoration is not a process reserved exclusively for Britain’s most popular landmarks. With over 400,000 listed buildings in England alone, it means that the chances of you encountering a listed building on any given day of the week are high. Unless these sites are well-maintained and looked after, your normal day-to-day life could be far more different than you may initially think. Almost everywhere you look and every corner you turn, there is a sign of British heritage. Whether it is buildings that stem from Victorian England, fields where great battles took place or even the roads originally laid by Romans, history is everywhere that you look. As buildings become older, no matter how well they have been constructed, the time will eventually come when historical building restoration is required to ensure that the site remains safe for anyone in and around it. Many listed historical buildings remain in commercial use, such as the Bank of England, which has been housed in its current location at Threadneedle Street in London since 1734. 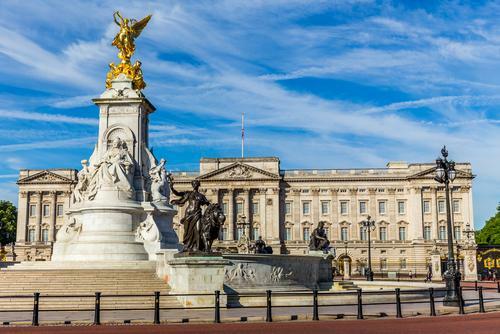 Would you want to imagine a Great Britain without famous landmarks still standing, such as Buckingham Palace, Stonehenge and Edinburgh Castle and confined to the history books? Of course not, which is why the work carried out by Concrete Renovations is so important for keeping history alive. In the UK, we are proud of our heritage and it is one of the main reasons why tourists travel from far and wide to visit the country. Without the level of tourism that Britain enjoys, the strain on the economy would be felt by the taxpayer, meaning you. Do You Require Historical Building Restoration? Does your commercial or residential building require restoration work to return it to its former glory? If so, then the Concrete Renovations team can help by putting our expertise and years of experience to good use, keeping your building safe for everyone. For more information on the historical building restoration process, please do not hesitate to get in contact with our team today by calling 01733 560362 or sending us a message via our contact page.